Inklings hail from the city of Inkopolis in the Splatoon™ series. They crave team-based competition and love to customize their gear before participating in the hottest sport in town, Turf War! Their hobbies include making messes, rocking the latest fashions, dancing, and spoiling the nefarious plans of their evil octopus archrivals, the Octarians! For realsies! 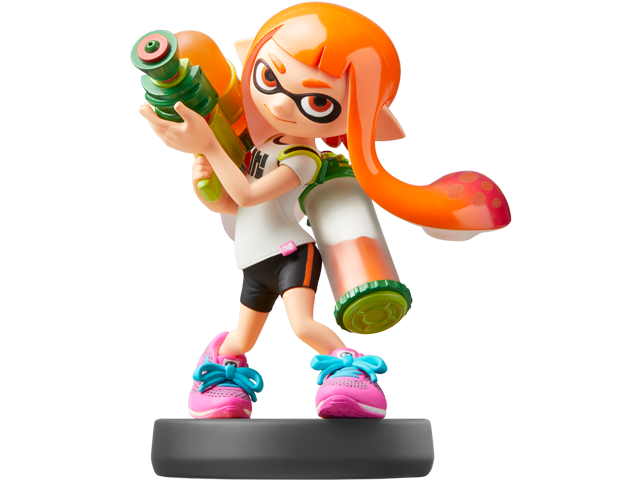 Inkling Girl is compatible with several games. Click here for details.